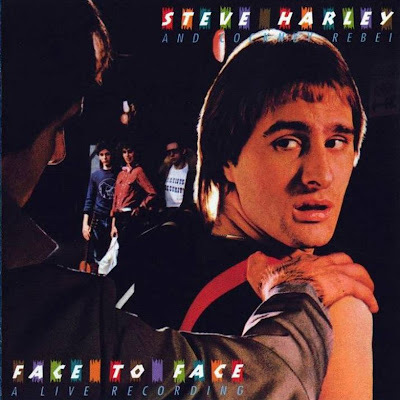 Steve Harley was born in London on 27 February 1951 as Steven Nice. When he left school he became a local newspaper reporter in Colchester, but then moved to London to pursue his music career on the folk circuit. Before long, he changed his name to Harley and started to put together a band, who were snapped up amidst some competition by EMI. Their first album, The Human Menagerie, was lavishly orchestrated but didn't sell in any great quantities. Early copies with a biographical booklet are extremely rare now. The prize cut, Sebastian, was also put out on 45. It was a big hit in many European countries but surprisingly failed to chart here in the UK. Before a follow-up album, Judy Teen was released as a stop-gap single. It shot to No 5 in the UK Charts. Their second album, The Psychomodo, was a definite progression - theatrical and full of variety with some unnerving keyboard work. The band assumed a theatrical appearance and were the subject of considerable hype. They enjoyed an enormously successful tour in the Summer of 1974 but proceeded to split afterwards following internal friction. However, in Mr. Soft the album spawned another hit single and as a temporary measure Harley was supported by Francis Monkman (formerly of Curved Air), B.A. Robertson and Stuart Elliot as he promoted the 45, prior to putting together a new line-up (B) for a Rainbow Concert in October of that year. This new line-up included a guitarist, Jim Cregan (ex-Family), which had been a notable omission from the first line-up, but the move didn't go down too well with their fans. The new line-up soon worked on an album in November 1974 at EMI's Abbey Road studio and AIR studios in London. The band, which had previously been billed as Cockney Rebel, now operated under the monicker Steve Harley and Cockney Rebel leaving no-one in doubt who was in charge. Just prior to this Steve released his first solo record, Big Big Deal. Only Steve and Stuart Elliot played on it and it was pretty good but failed to sell at the time. Nowadays it's becoming a minor collectable as copies are hard to track down. The Best Years Of Our Lives, which Harley co-produced with Alan Parsons, was their best album to date and climbed to No 4 in the Album Charts. It provided them with their biggest UK hit single, Make Me Smile (Come Up And See Me), which rose to No 4, and with the superb Mr. Raffles (Man It Was Mean), which narrowly missed the UK Top Ten. The flip to Mr. Raffles was a live recording of the band's 45, Sebastian, which had been recorded at the Hammersmith Odeon in April 1975. Another live track from the same concert, Mad Mad Moonlight, can be heard on the flip of the follow-up, Black And White, which didn't get any Chart action. Early in 1977 Steve went to live in the States and broke up the band. He embarked on a solo career but failed to achieve the same acclaim in this capacity as he had with Cockney Rebel.